As a Design Manager I have organised hundreds of pitch meetings, so designers ask me: ​“what makes a good pitch?” The truth is that there is no guaranteed way to win a project. Clients are human beings and I have never been able to predict which agency a client might select from the shortlist. Sometimes they decide on the most challenging agency, sometimes they prefer the safest pair of hands. Sometimes they commission the agency that came in below budget, sometimes they run with the agency that persuaded them to double their budget. But despite not having a magic formula for winning projects there are approaches I see that consistently work well. In this short series of three articles I’ll outline those common traits. 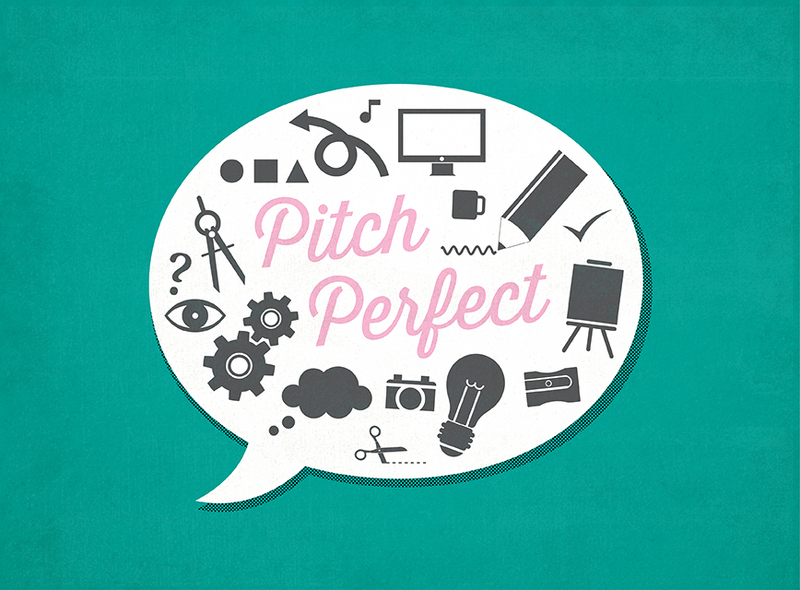 They don’t guarantee a perfect pitch – but it will help you get it broadly right. A pitch is your time to showcase your services, so make sure the scene is set correctly. Confirm how much time you have. Tell the client how you plan to use the time and stick within the agreed time (your time and their time is precious, so respect it). Confirm whether you expect questions along the way or at the end. All these quick things give you the chance to find out if they have different expectations so you can adapt if necessary. They also position you as courteous and confident from the outset. Show three or four good case studies rather than your whole portfolio. This shows that you have already used your intelligence to select on behalf of the client. Explain these case studies in more depth, including why you feel those are particularly relevant. Examples might show a related creative approach or it could be that it solved a similar problem. Don’t expect clients to find something of relevance or interest amongst everything you’ve ever done. This is a business meeting, not a show-and-tell. The design work you show might be great, but how did it compare to what was there before? Using before-and-after examples is an incredibly helpful way for clients to see what difference you made. It is tangible evidence of how you transform things. It also gives you a chance to explain how you critiqued the ​‘old’ situation and decided on the improvements that led to a successful ​‘new’ outcome. You might have a full time team or a network of freelancers. These each have pros and cons, so be honest about your set-up. Whether you are large or small, show some faces, endorse their talents and clarify who will work on this particular project. Showing your wider team or network introduces the full range of expertise you have access to. It might not all be needed now, but it reinforces that you have range and flexibility for future projects as well as being able to deliver this one. Invite them to your studio. Offer to put the proposal in writing. Provide some contacts for testimonials. Most importantly, confirm when a decision is being made and whether they will contact you or if you need to get back to them. Follow-up quickly with a thank you e-mail and any information, costs, references or other examples that you promised. If you don’t win the project, don’t take out your frustrations on them. Wish them well and remind them that you would be happy to do business another time if the chance comes round again.